2019 is here and as you might have heard, there are many new rules changes that to the golf rules, effective as of January 1st 2019. This is a list of the 20 most important rules changes, so you can stay on top of your game and still be able to play by the rules like a gentleman. This will be especially important to get updated on if you plan to participate in competitions. #1) Searching time is reduced from the previous 5-minute rule, to 3 minutes. This is meant to speed up play and makes golf maybe a little bit harder for some of us than it used to be. 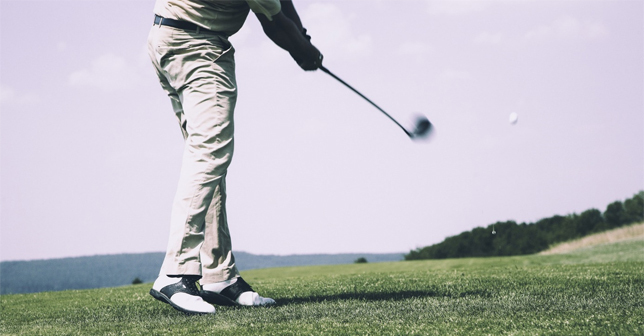 If you don’t want to risk losing your ball in the woods and not find it in time, you should put in extra time on the driving range and get your accuracy on point. Tip: Take a look at your watch before you start the search, and make sure that if you do not find your ball within 3 minutes, you play your provisional ball. #2) Ball moving during search. From now on there is no penalty and you may replace your ball in the position it was. If you are stomping your feet in high grass it can be easy to move the ball with your feet by accident when trying to find it. You used to get a penalty if it moved, but now you only have to put the ball back. #3) Relief for ball embedded or plugged in the ground, no matter where it lies. We used to only get relief for plugged balls on fairway, but now this rule applies to all surfaces on the golf course. This is for the general area, including semi rough and rough, but not included for bunkers and hazards. #4) When dropping a ball and measuring club lengths, one club length is defined as the longest club in the players bag except for his putter. We used to be able to choose club ourselves, but now we have a set standard measure for all. #5) Dropping is now done from knee height. Until 1984 the rule for dropping a ball was over your shoulder and behind your back with the arm for executing a drop. After that we have been dropping from should height, but the new rules is now from knee height. Tip: If you drop the ball the old way out of habit, from shoulder height, you make pick the ball up and drop it again the new correct way from knee height, and you will not get any penalty. #6) Wrong green: You are now not allowed to take stance on a wrong green when hitting your ball. As hitting from the wrong green usually will damage the green, it has already been a rule to not be able to hit the ball from the wrong green. The problem was that the nearest relief point often made players take stance on the green which in itself hurts the green, and damage edge of the green with their divot on top of that. The new rule is that you may take relief completely with your stance and drop from there within 1 club length. #7) Hitting yourself or your equipment with the ball is no longer a penalty. This only applies if you hit yourself by accident or your equipment by accident. If done on purpose, like using equipment as a ball stopper, you will receive a penalty. #8) Accidental double hit of a shot only counts as one stroke. There has been a lot of discussion about this and viral golf-videos going around that shows people “taking advantage of this new rule”, but basically there is no way to take advantage here. If you hit your ball on purpose two times, you get a penalty. #9) Changes to grounding club in bunker: A bit more relaxed rules for bunker play. In the old rules we were not allowed to alter lies, rake bunkers before play, or ground the club. Some of this still applies. You are allowed to rake in the bunker as long as its not in line of play. You are allowed to accidentally ground the club, but not on purpose or trying to alter the lie to your advantage. You may also lean on your club in a bunker, as you might do if you are waiting to play your shot. #10) Loose impediments in hazards and bunkers are now allowed to remove. Up until now it has not been allowed to remove small stones, leaf, loose grass or other impediments in bunkers and hazards. From 2019 that is now allowed. Tip: Remember that if the ball moves while removing loose impediments, you still get a penalty of one stroke, and the ball must be replaced back to where it was. #11) Unplayable ball in bunker, now with a 4th option. When a ball becomes unplayable in the bunker, like a plugged ball under the edge, it was and still is possible to drop it within 2 club lengths, or in behind in a line of play towards the flag, but still in the bunker, or the third option, to play it from where you last played it. All these options came with one stroke penalty, and they still do. But there is now a 4th option. You can drop the ball in line of play, behind and outside the bunker, but with a two-shot penalty. Water hazards are now called red or yellow hazards and does not have to include water. This allows golf courses to freely choose where they want to setup hazard areas, as they can mark areas of wood or grass and rough areas. Players are allowed to take a sideways drop out from the hazards, and thus speed up the game. #13) Touching the ground or water in penalty areas is now permitted without penalty. Playing out of water while grounding your club is now allowed, but probably not any easier than it used to be. #14) If you mark your ball on the green, and put it back and then moves, you no longer have to play it from the new place. You simply put the ball back again, without penalty. #15) If a player moves the ball with his club or body on green, there is now no penalty no matter the reason. It could be a practice swing or losing the club to fall down at the ball. No matter the reason, you put the ball back to its original position, without penalty. You are now allowed to repair and smooth out spike marks and any unnatural damages on the putting surface. This does not mean you can smooth out natural imperfections to the green to your advantage. #17) Aiming the club along your stance for alignment purposes when setting up for a shot is no longer allowed. Players used to be able to align their shot with the club when aiming and taking stance, especially on the putting green. This means that you are not allowed to point the club along your feet down the target line for alignment. Golfers who are used to this, simply have to learn to aim the proper and normal way for shots and putts. You will no longer see caddies help player line up putts, as the new rules state that caddies are no longer allowed to help players to line up for shots. This will probably speed up the game for tournament and professional golfers. #19) The mayor rule change of them all: You can now leave the flag in when putting. You are allowed to putt and hit the flagstick without penalty. This is of course optional, and it remains a debate among the scholars if its smarter to leave it in or not. According to Dave Peltz more putts and chips go in the hole when leaving it in. Now that being said, some do still experience this to not be true in real life. Sometimes you might get unlucky and the putt could bounce of the flag on the side. Each player has to decide for themselves what they want to do and what they believe in, but if the flagstick is set in correctly and not leaning too much any way, it should be easier to get the ball in the hole that way. Especially when you add that its an easier target for alignment and the eyes when aiming your putt. We will definitely see more and more players putt with the flag in on the European and PGA Tour. Bryson DeChambeu, commented that he will leave the flag in at all putts. Tip: In the end this is up to each player and person preference, try to test out the new approach and see what works best for you. #20) Ball being wedged between the flag and the edge of the hole is considered “in”. If the ball is wedged between the flagstick and the edge of the hole, with any part of the ball below the hole top edge, it is considered holes, and the player can now pick it up. Previously the flag had to be removed for the ball to drop for it to be considered holed. With many new changes to the rules it can be a bit much to take in at one read, but feel free to come back to this article to review the most important changes to the rules. Remember that as we all play and practice the new rules it will become second nature and the new rules will become just as normal as the old ones. A bit of time and practice, and we set off to a new year with exciting changes in golf. If you liked this article feel free to share it with friends or leave a comment below.